According to the company, the R&D centre is an extension of its commitment to consumers in India. 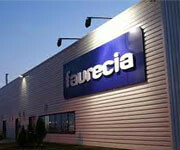 Faurecia�s Indian customer base includes Ford, Hyundai, Mahindra, Maruti-Suzuki, Tata, Toyota and Volkswagen. The company�s other R&D centre in India, which is located in Bangalore, serves its emissions control technologies business.